We are in the process of rebuilding Ninemsn’s front page in coffeescript + node.js, and moving it to Amazon Web Services (AWS) for easier deployment. This is a very similar view to Chrome or Firebug’s network tab, but it also gives the proportion of each request that was spent in DNS lookup, transfer and rendering. It’s also broken down by asset type (css, js, etc). It’s hugely valuable for you to see why a particular asset is slow – for example, if you are referencing a third party asset that takes a long time for DNS lookup and transfer, you might investigate if you can host it on your own servers or through a CDN. It also goes without saying that the fewer requests you make, the better, so sprites and combining/minifying CSS and JS assets can help you avoid network overhead time. An interesting feature that Google News does is to base-64-encode “above the fold” images directly into the page, to reduce the number of requests. I presume they are also gzipped with the page when it is sent down the wire, saving both requests and page size. WebPageTest offers the ability to run from over 40 different locations in the world, at last count. So you can check how your site performs when accessed from different parts of the world. You can also download the source and set up your own hosting server and testing agents if you wish, which gives you more control over where and when you’d like to run it. It would be very useful as part of a build pipeline, to run each check-in/day/week, and highlight the effect that recent changes have made to the page speed. If you are using the public agent, or decide to host your own, be aware of where the test agent is hosted vs where your site is hosted. For example, if you are both in the same AWS data centre, then time to first byte will probably not be an accurate measure for the majority of users. One feature I really like is the fact that it executes two requests to your page, which highlights how much of your page is cached from the first request, and what assets could benefit from cache headers. The in-depth analysis of all the above features (film strip view, connection breakdown, bandwidth & CPU analysis) is done on both versions. You can also compare two results – for example, two weeks apart – to see the differences if you have been trying to improve speed, or if you have recently introduced a new feature to see the impact that has had. 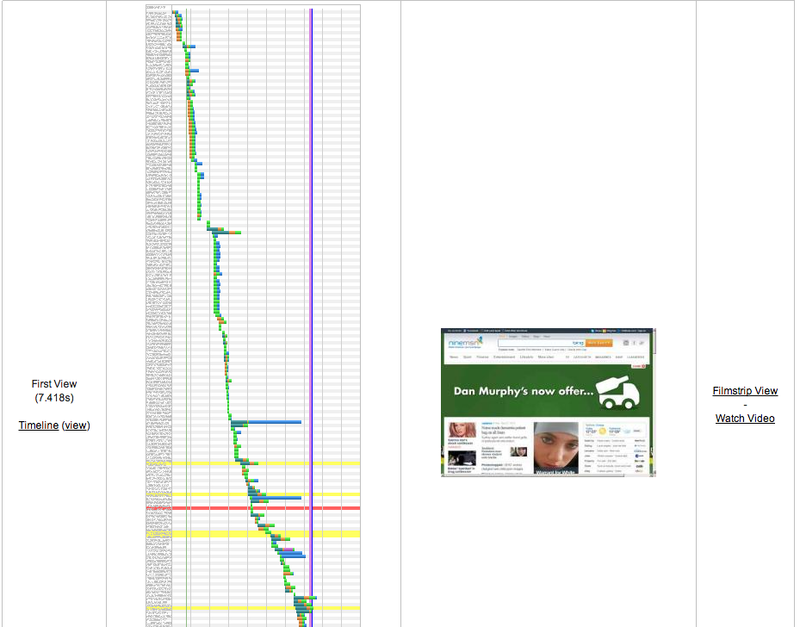 In summary – WebPageTest is an extremely useful diagnostic tool, and best of all it’s free!